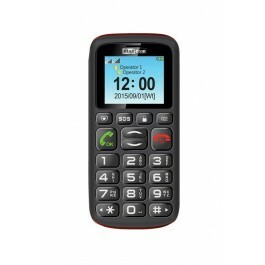 The Maxcom MM428 is an essential and functional, easy to use mobile phone with large buttons and large font for greater visibility and ease of use. Our volume boost function makes this one of the loudest mobile phones available to buy, making it easy to hear wherever you are. For that extra security, our SOS assistance button quickly sends a message and makes calls to your family or friends when you need it most, and our ICE function (In Case of Emergency) will store your important health information for the emergency services, just in case..
SOS assistance button to quickly send a message and make calls to your family or friends and ICE function (In Case of Emergency) to store important health information for the emergency services.